See Pinus classification for complete taxonomy to species level. 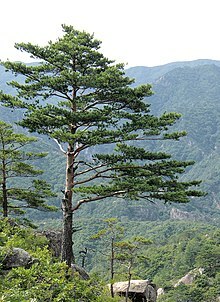 See list of pines by region for list of species by geographical distribution. ↑ नेपाली बृहत् शब्दकोश. कमलादी: नेपाल प्रज्ञा-प्रतिष्ठान. बिसं २०६७. प॰ १२४९.